12/08: There were lessons learnt by the OTHL team with regards to the quiz. A day earlier, the participants didn�t do very well in the quiz. The result: OTHL team worked in the night to come up with a knowledge imparting preliminary presentation to keep all the participants at the same platform. The quiz was also changed a lot, keeping in the mind the preliminary points outlined. 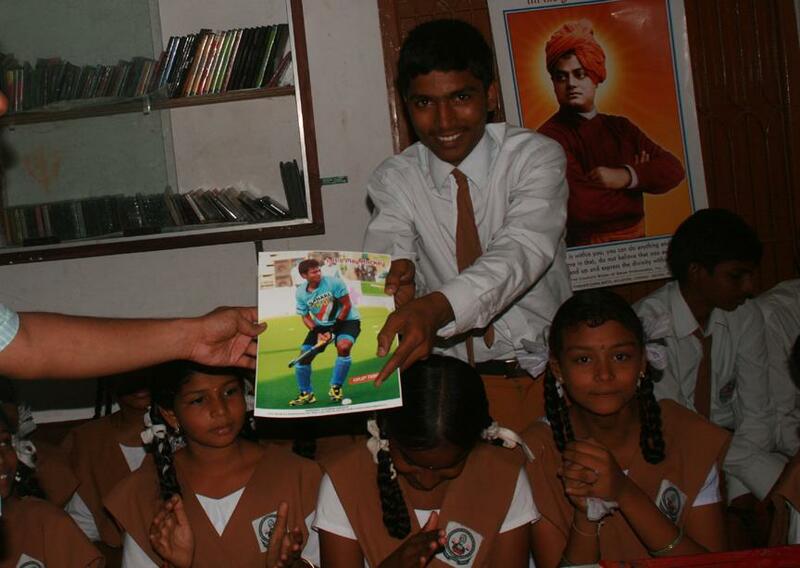 The venue for today was Swami Vivekanandha School, Thirubuvanai, some 27 km away from downtown Puducherry city. The preliminary presentation was absorbed really well by the children and hence the quiz show was a super hit amongst the audience and the participants too! Team D was leading the proceedings and was always kept on alert by a closely followed Team B and C. Finally, it was all boys team of Team D who won the quiz amongst an all girls 4 teams. The girls did really well but somewhere missed out a sitters. Team D qualified for the final rounds that will happen sometime later this year. The audience prizes were bagged by E Sathish Kumar and Sharli. A very interesting observation was a participant from Team C. She was taking a chance on every question and would come up with names from the history of Indian Hockey. After the quiz, it was found that she was very well prepared for the quiz because she has read, very well, the material sent out to the school as a part of quiz preparation. This did earn her tremendous appreciation from the OTHL members witnessing her valiant efforts. That marks the closure of quiz rounds in Puducherry.